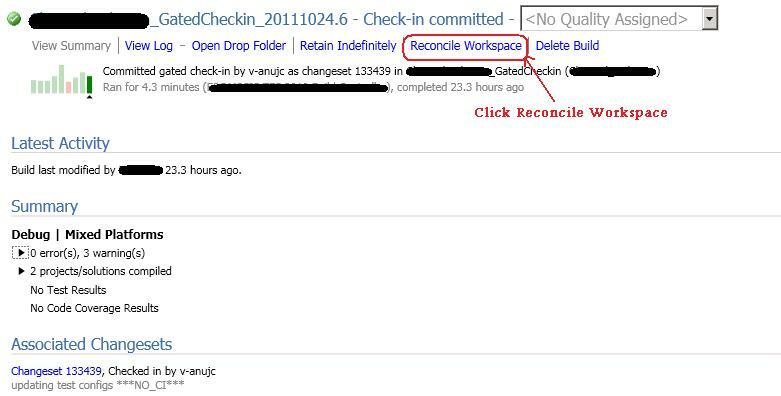 Normally when you checkin your changes with Gated Checkin enabled, once the files are checked in you see a "Team Foundation Build Notification" pop up to reconcile the workspace. 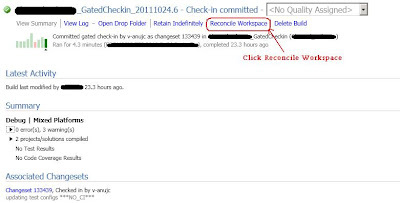 However, condiser you checkin something at the end of the day and go home thinking that you will reconcile the next day. In the mean time, your system got rebooted or went outside of network. The next day when you login to your system, you dont see the "Team Foundation Build Notification" pop up to reconcile the workspace. Message: UPDATE failed because the following SET options have incorrect settings: 'QUOTED_IDENTIFIER'.